Want to know when this site is updated? Subscribe now. Note: only the email address is compulsory. You may leave out the others if you so wish. 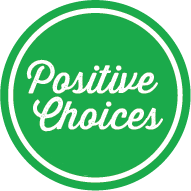 Login into your free Positive Choices account. Specify which user account you need, enter your name and email. Register quickly and easily. Having trouble logging in or are having technical problems? Or would you like to give us feedback or suggest content for our "Q&A" or "Getting Help" section? Then please email support@positivechoices.org.au with your message and your contact details and we will get back to you as soon as we can.